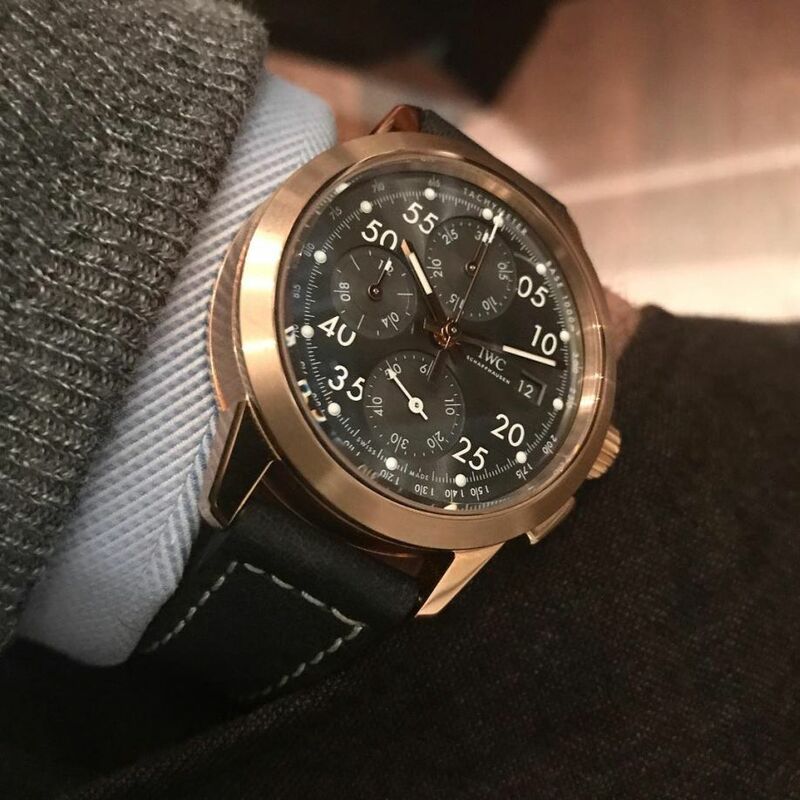 TimeZone : IWC » N E W M o d e l - IWC Ingenieur Chronograph "Tribute to Nico Rosberg"
IWC Schaffhausen has released the Ingenieur Chronograph "Tribute to Nico Rosberg" to honor his 23 Grand Prix wins. The 2016 Formula One world champion driver designed the watch in collaboration with Christian Knoop, Creative Director at IWC Schaffhausen. The case, in 18kt red gold, measures 42mm x 15mm. 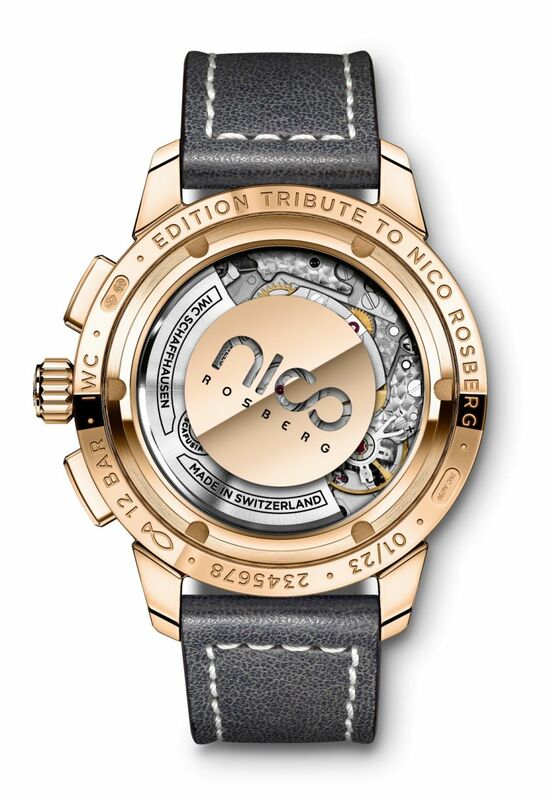 It has a domed AR-coated sapphire crystal, a sapphire display back printed with "NICO" lettering from Rosberg's helmet, and it is water resistant to 120 meters. 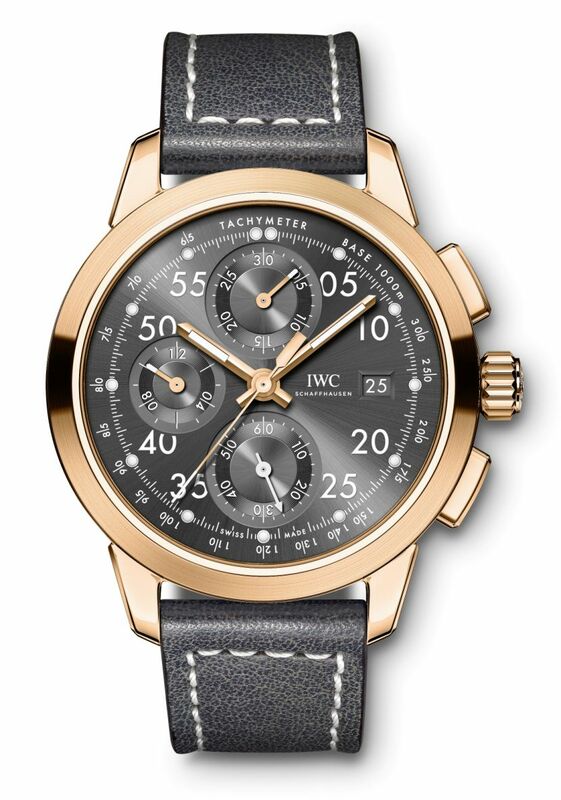 Movement is the Swiss automatic IWC in-house caliber 69375 with 36 jewels, 28,800 vph and a power reserve of 46 hours. 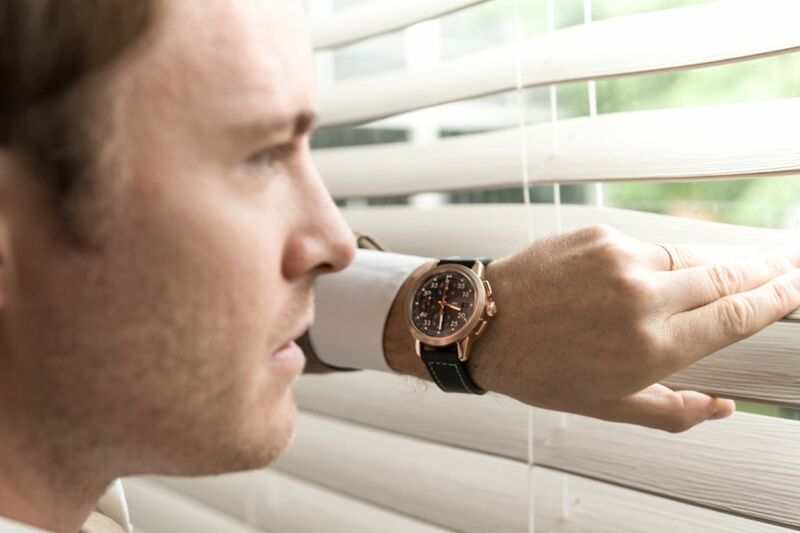 It features the IWC patented automatic pawl-winding system. The dial is slate-colored with gold-plated luminous hands. White Arabic numerals. It comes on a black grey calfskin strap with white contrast stitching and an 18kt red gold buckle. Available at IWC boutiques and IWC retailers from December 2017.